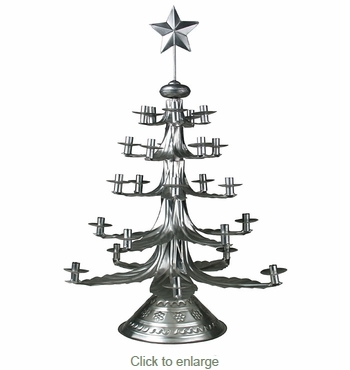 Our natural tin Christmas tree candle holders make a festive holiday display on your coffee table or buffet. When lit full of Christmas candles, these are indeed a merry sight. Our tin trees are handmade by Mexican tinsmiths who have mastered this age old craft. As with all of our hand crafted items, expect some variations in size and color with these metal Christmas tree candleholders. Candles Not Included. Order candles separately.